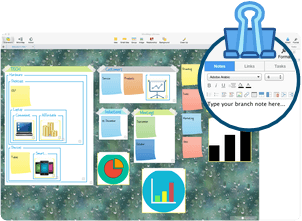 Rapid developments in Brainstorm View* and the addition of the new Outline Panel mean iMindMap 9 offers the most advanced digital workspace we have ever launched. 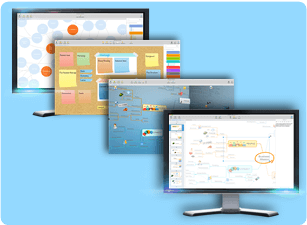 In iMindMap 9, you can personalise your canvas in Brainstorm View by choosing from our built-in options. You can even add your own background image. 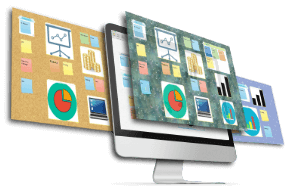 Transform your brainstorm into a multimedia hub. Attach text notes, web links, audio files and more to add detail to your brainstorm without cluttering it. 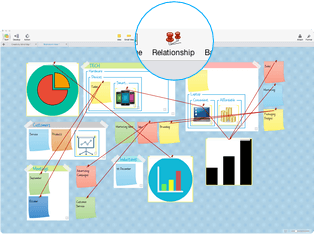 You can even link to Mind Maps saved to the iMindMap Cloud. Customise your brainstorm by changing the size, colour and font of your text. You can also incorporate icons and images, making information more visually appealing and easier to recall. Additions made in Brainstorm View will be displayed when you switch between Fast Capture and Mind Map View. This allows you to move seamlessly through the views in a process which is beneficial to your personal way of working. Due to popular demand we have added a new way to associate your ideas in Brainstorm View. A digital string, you can now “pin” your ideas together without compromising the overall look of your brainstorm. 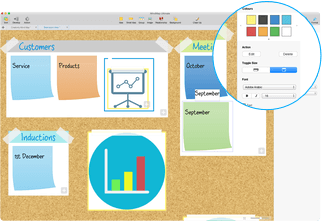 Displaying your work in a list format, the Outline Panel adds a new organisational element to iMindMap 9. Click an idea in the panel to jump to that section in the view you are working in. You can also edit the idea there and then in the Outline Panel itself. We have added a Search Filter in the panel so you can quickly locate and edit your ideas. If that’s not enough, you can group ideas in the panel too. Exclusive pre-launch offers are available now – to find out more visit the iMindMap 9 page.